Alamein Community Association have announced two new classes taking place at King Arthurs Hall in January. Yesterday I went out talking to residents and campaigning in Pilgrims Way and River Way. It was good to hear positive views from them about how they are working together to improve their local environment. It’s also encouraging to see the hard work put in by their borough councillors Nigel Long and Katherine Bird is having a real impact on these estates. 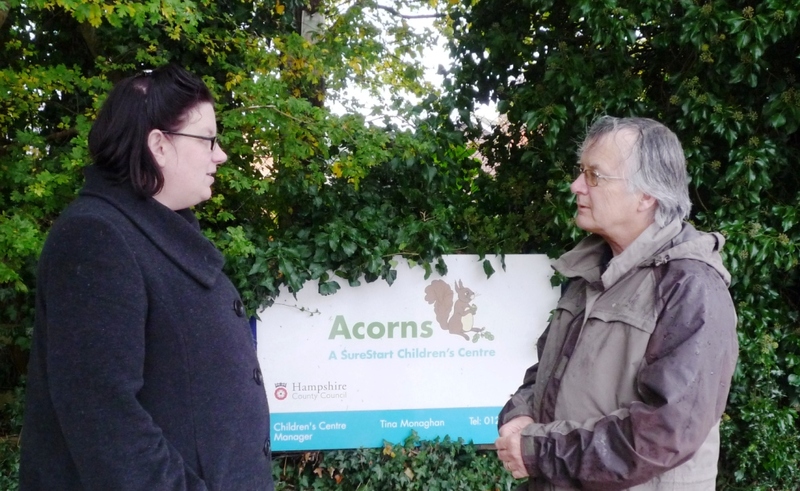 What was disappointing was to hear that residents are not always getting the support and help needed from their councils and housing associations to sort real and immediate problems. More work is needed to deal with the state of the roads and paths, with overgrown trees and poor lighting. 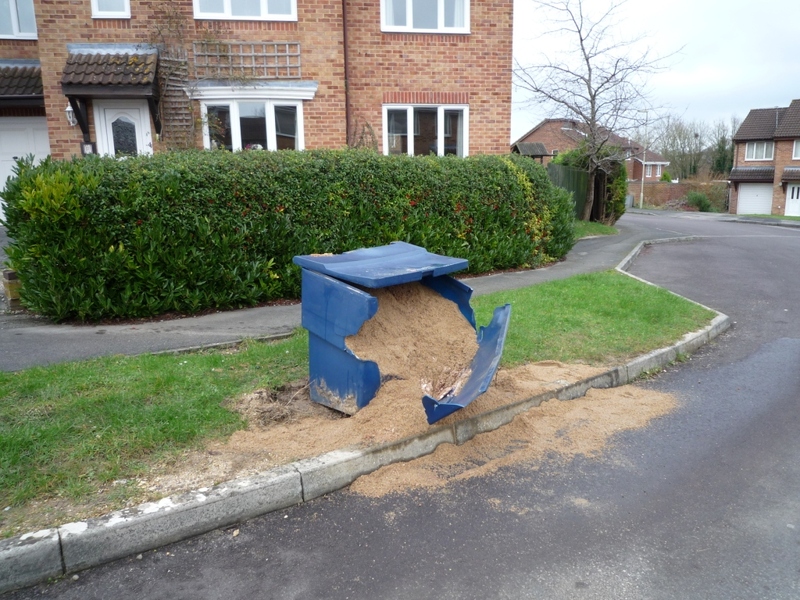 If elected county councillor I will work with Nigel and Katherine to get problems on these estates and across Andover dealt with quickly and efficiently. 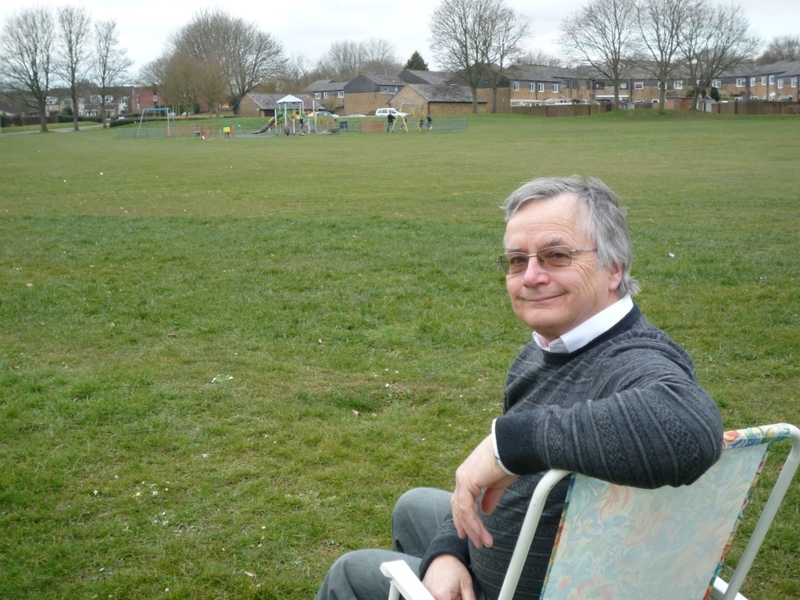 While out talking to local residents I was asked about the possibility of public seats along some of the new footpaths and cycle paths installed around town. As I knew there were sums of developers money collected for recreation purposes I contacted Test Valley council officers to enquire whether any of this could be used for public seating. Very often councillors and council officers think of leisure in terms of play grounds, sports fields etc. but to many residents leisure is just as much a walk down the road, round the park or to the shops. Why not spend some of this leisure money on a few seats en route? The good news is there is funding available and officers think its a good idea. I have made a formal request to borough councillor Phil North who is also in favour of the idea and look forward to hearing from him that this project is viable. 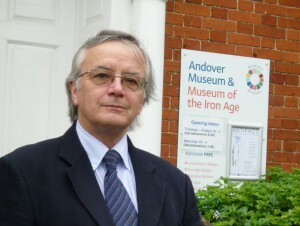 Conservative-run Hampshire County Council have admitted they plan to sell off our museums, art centres and cultural services. Hampshire County Council plan to handover control of these vital services to a ‘Trust’, the Hampshire Solent Cultural Trust. 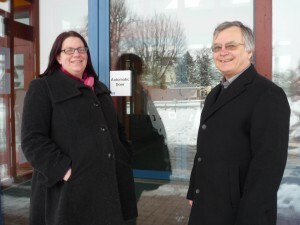 Local people will no longer have a say on how our museums and art centres are run. Many fear that this move will put them at risk of more funding cuts, and even closure. As a community we’ve fought hard to stop Conservative cuts to our local services. This news is yet another bitter blow to Andover. The Conservative County Council have ignored what local people have said and carried on regardless, cutting services while throwing taxpayers’ money down the drain funding their own vanity projects. The museum sell-off proposal follows news that the county council is set to shed another 60 jobs from libraries, museums and community services on top of the plan to axe another 165 posts in adult social care. Everyone knows times are hard and councils need to tighten their belts, but while making these cuts Hampshire Conservatives have stashed a staggering £300 million in the county bank! That money is just sitting in their reserves while they cut services that hit the most vulnerable people in our society. I want to see less waste and more resources going to the frontline services we all rely on. Costs of the long awaited rebuild of Andover’s bus station have soared by £500,000 because of delays in completing the project. The initial cost of £2.4 million has now been revised to £2.9 million. The increase is because of last minute changes and delays with legal negotiations. Once again the county council has failed to deliver on a major project and allowed the costs to soar. The bus station plans have been in place for over ten years. There is no excuse for the delays or the increased costs. 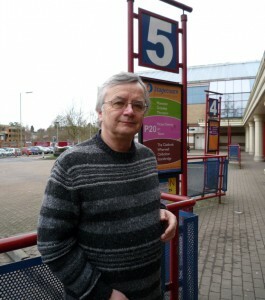 Andover has been promised a new bus station the council should now deliver on that promise. What a pity it’s costing another half a million pounds of public money to do so. Work is expected to start on the project in March. The new bus station will have extra capacity for buses, a new waiting room and café, and office space. The bus station will be closed for twelve months while work is completed. 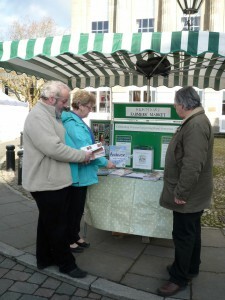 The Hampshire farmers market will be in Andover High Street on the third Sunday of each month from February to December. There were fears that the market would not continue after a fall in numbers of visitors during 2011. A “New Look” market started in January 2012 and wil continue this year. Working as I do in the local farming industry I know how improtant the market is for showcasing local produce. The quality matches anything on offer in supermarkets. And it is produced locally. To keep the market and support local farmers we all need to use it. So why not take a look and see what it has to offer. Test Valley Borough Council has agreed to implement changes to council tax introduced by Lib Dem Communities Minister Andrew Stunnell. The changes allow councils to end the council tax discount on second homes which cost local taxpayers £55,000 a year. The new proposals also allow the council to charge an empty homes premium on any home left empty for more than two years. The extra income generated will go towards funding a local council tax support scheme which replaces council tax benefit this year. I am delighted to see local Tories are making use of this initiative introduced by Lib Dems in the coalition. As well as generating extra income, these plans will help bring many urgently needed empty homes back into use. Revising the unfair council tax system has always been a Lib Dem priority. We are delivering on that priority. At last week’s Andover Town Council meeting I queried the costs of running the town’s allotments because the fiugres recently published don’t add up. In a letter to allotment holders the chairman of the town council’s allotment committee outlined the costs of running the allotments at almost £22,000 and to balance the books they have raised rents accordingly. Until the town council took control of allotments they were run and maintained by Test Valley Borough Council the costs being charged to all residents through the Andover levy. Therefore I must assume TVBC were spending about £22,000 a year of the levy on running the town’s allotments. When Andover Town Council took control of the allotments there was a reduction in the Andover levy of just £15,661. So what happened to the rest of our money? If Andover residents have been paying £22,000 per year to TVBC for them to run the allotments then now they are being run by ATC then the Andover levy should be reduced by this amount. For a council that prides itself on prudence and value for money I am surprised that no-one on Andover TC has asked this. or is it that someone can’t add up? I was also disappointed to hear the chair of the council (who as a non-resident of Andover doesn’t pay the levy) dismissing this as just a small amount of money. I also wonder with so many Test Valley Borough councillors sitting on the town council (many of whom were opposed to the formation of a town council) whether there may be conflicts of interest here. Have these figures been given due attention before the agreement to transfer the allotments was completed? 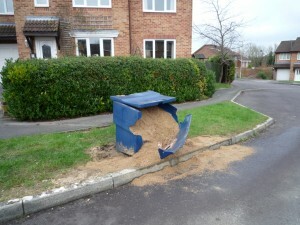 I have submitted a list of written questions on this and look forward to the council’s response. What happened to our youth service? Andover’s residents have been shocked by Conservative run Hampshire County Council’s decision to all but wipe out Youth services, making professional staff redundant in the process. Staggeringly, the Conservatives stashed over £300,000,000 in the County bank while making the cuts! Under the changes the Council will only provide services for ‘vulnerable’ young people such as those in care. There are many other young people needing support who may not get it at all. Candy Huxham is Manager of the Handy Trust voluntary Youth Service in Waterside, Hampshire, and is currently Youth Worker of the ye r. Candy has strong reservations about the changes. Candy said, “We already help and advise many vulnerable oungsters in our local community but we don’t come into contact with all of them. They often tell us that there are others who we don’t see who are still in bed or don’t bother. Now there is no Connexions service and no system to account for youngsters like there was. Unemployment of young people is the highest on record. For many it is a bad time to be young. It is certainly no time for the County Council Conservatives to walk away.